Bon Voyage! We’ve reached the end of our Gilmore Girls rewatch, just in time for the Netflix revival. We break down the controversial seventh season and decide how it compares to the show as a whole. This is is, we made it. After many months and SO many hours of TV, we are all up to date on Gilmore Girls. Now that she has seen it all, what does our resident newbie Selina think about this show? Is she mad at Pam and Marama for making her do this? (Spoiler alert: no.) Hear our thoughts on this final season, and our predictions, hopes, and dreams for the Netflix revival. Plus, we announce our plans for the revival. Stay tuned to the end to hear them. – It’s been a journey! – “Bon Voyage”: When did we cry? – Were we all satisfied with this finale when we watched it for the first time? – How does it rank on a scale of series finales? – For the last time (maybe? ), we give our favourite episodes and characters! – Are some of the poor decisions in season 7 the result of a male showrunner taking over? – Our Netflix predictions: Who’s employed, who’s together, who’s married, who’s pregnant, who’s living their dreams? – Most importantly: Will Lane ever be happy? Don’t forget to refresh yourselves on the events of the last six seasons by listening to our other Gilmore Girls specials for season 1, season 2, season 3, season 4, season 5, and season 6! Want more Gilmore goodness? Pam and Marama also recorded a mini special where we took a deep dive into the first official Gilmore Girls: A Year in the Life trailer! 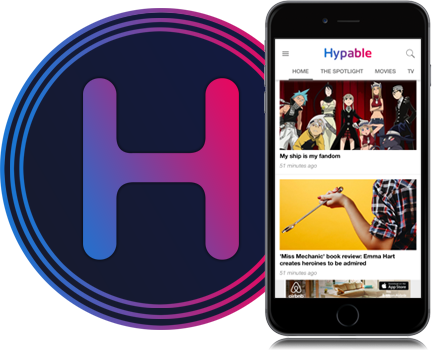 Join the conversation and have your comments read on the next episode of Hype by tweeting @HypableHYPE, emailing us at [email protected], or joining us on Tumblr. If there are any further technical issues, feel free to contact Hypable’s podcast manager at [email protected], or tweet @HypablePodcast. Harry Potter fans, rejoice! Fantastic Beasts and Where to Find Them is officially in theaters! Now that we’ve all seen the film, the girls of Hype Podcast just couldn’t resist getting together to breakdown J.K. Rowling’s latest tale from the wizarding world! This week, Hype Podcast brings you early reviews of A Monster Calls and Hidden Figures, new information about Beauty and the Beast, lots of love for The Mindy Project and much more. Hype Podcast episode 122 is here to hopefully bring some joy to your life in the form of (mostly) good entertainment news, movie and TV recommendations, and much more! Happy November, Hype Podcast listeners! Gilmore Girls: A Year In The Life is officially less than a month away and the Hype girls are back to rehash Gilmore Girls season 6!